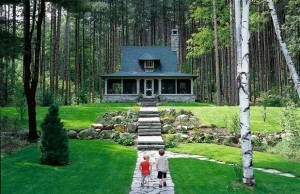 Many consumers purchase vacation homes every year, sometimes in the same state or province. While others purchase homes in other countries. Regardless of where you plan to spend you vacation time there are some costs and rules that you need to be aware of before you make the decision to purchase. There are hidden costs of purchasing a vacation home. These range from higher costs for legal and mortgage fees, insurance, management fees and HOA fees. Before making that family decision, make sure you have investigated all of the costs. Understand what your cash flow is going to look like. Selling prematurely could cost you money. Especially if your vacation home has not appreciated enough to cover all of your costs. Strict Mortgage and loan requirements. Consumers will find that the requirements are even more strict when it comes to financing a vacation home. Lenders want to make sure that you can carry the monthly payments of both your current home as well as new vacation home and all of the expenses that this includes. Also if you are depending on the rental of your vacation home for cash flow purposes, don’t expect the lenders to include this rental income in their calculations. Higher mortgage costs – mortgage fees and interest charges tend to be higher simply because it is viewed to be a higher risk investment. Insurance costs for flood and earth quake coverage – if you live in a potential flood area or an earthquake area, consider obtaining this insurance coverage. Coverage can be expensive particularly in areas with a regular history of these kinds of events. Property management fees – if you rent your vacation home or you live far away, you may need to have a company manage and inspect your vacation home on a regular basis. Plan for these costs to ensure that you have factored these into your cash flow. Rental management will take from 5% to as much as 20% of your rental income. Tax on Income earned – Every country collects taxes on any rental income earned and some states charge higher taxes for foreigners and snow birds. Make sure you are aware of the income tax that needs to be paid along with tax form preparation charges. Tax on Capital Gains – when it comes time to sell your vacation home, there may be capital gains taxes on any capital gain. Again some states charge higher capital gains rates for out of state investors. Do you trust your real estate agent? Business is business and all discussions and deals should be documented and thought carefully through. We came across a situation that we wanted to share and get your opinion on? What do you expect when you sign a contract with an agent to either sell you your home or to help you buy a home. You really expect them to work hard for you? Help you achieve your goals with regard to selling or buying a home. But can you really depend on them to work hard for you and sell your home? We all have heard of agents who focus on signing up listings and then you never hear from them again. All they are doing is listing your home. Then they let other agents actually sell your home. They still get half of the commission even though all they did was list your home. They also help you with the paperwork at the end. Pretty good income if you can sign up enough customers. Eventually your reputation gets around. Before you know it both customers and other agents are shunning them and your house that you signed up with them to sell. A friend is selling their condo and has had it listed for a number of months with few showings and little interest. It is a tough market and everyone is looking for a really good deal as well as as many upgrades in place as possible. The agent is suggesting they spend $20k on upgrades and lower the price to make it sell. The owner is reluctant to give up this much money since they really do need it to help them with their retirement. This is part of their retirement package and savings and to lose $30 to $40 k is a lot of money that cannot easily be replaced. The agent has indicated to our friends that if the unit does not sell they will buy it from our friends at the reduced price! Sounds like a good deal but who wins in this situation? Who makes the most money? The market in their area is expected to really boom as the economy improves and the value of the real estate is expected to increase by 20% or more. We think the agent wins in every situation and our friends lose! Our friends upgrade their unit, spend money to do this and then lower the price. Maybe it will sell and maybe it will not, but either way the agent either gets the commission or picks up a cheap upgraded condo ! What do you think? Should they take this offer? We really do not think so and in fact we would suggest that they find a new agent since they cannot really trust this agent at all to look after their best interests to get the maximum deal for the condo they are trying to sell. The only one who wins in this situation is the agent who gets paid either way! Do you trust your real estate agent? Most agents are honest,. But some can twist or make it look like they are doing you a favor when they are really not. We recently ran across a situation. We wanted to share it with our readers to find out if you feel the same way or have a different opinion. This solution can cost a great deal of money. You need to pay attention to what your agent is saying. Consumers also need to run the numbers to make sure that the cash flow and profit / loss works in their favor or at least delivers the best solution for them. A friend of ours is selling their condo unit. It has been up for sale for a while with little interest by any potential buyers. The market is pretty tough right now with few buyers and lots of homes available. It is essentially a buyer’s market so if your home is not upgraded and looking great, buyers just have too many other homes to consider. The competition is pretty fierce and our friends must decide if they are going to continue to leave it on the market or take it off the market for a little while until conditions improve. The market can play a huge part in deciding on how much you want to charge for home. They really do need the cash for their retirement and medical bills so there is some motivation for them to sell, but they are not in any kind of desperate situation either. The agent is recommending they drop the price and spend $20k on upgrades to make the unit more attractive to buyers. It needs new carpets, paint and really the kitchen and bathrooms should be upgraded. In total with the lower price and money spent they would probably lose about $40k from what they originally expected. This is a large amount and most people could not afford to lose this much money. The agent has offered them a deal which is what we find a little difficult and we question whether we should trust her or not. Essentially if it does not sell in a few months the agent will buy it from them at the reduced price with the upgrades completed! They get a guaranteed sale but they are losing $40 k and what motivation is there for the agent to actually sell the unit? Not much as far as we are concerned. Why would she even try to sell it when she can pick up an upgraded unit at a low price. Is this a good deal for the agent or what? They get a condo unit at a reduced price that has been upgraded and all they have to do is not sell the unit. Prices in the area have been increasing and there is a good chance in the next year that prices will go up further as the economy picks up. What do you think the agent is going to do? They will not work to sell the unit, pick it up cheap and then sell it as an upgraded unit or perhaps rent it out since the agent picked it up cheap! They may rent it out for a year while they wait for the price to increase. Let us know what you would do? Our opinion is find another agent and get a second opinion. Do you trust your real estate agent to always act on your behalf and in your best interest? We came across a situation that suggests that maybe you should not. Maybe you should make your own informed decisions! At the very least take control of your situation and talk with a number of people before just accepting the opinion of your real estate agent. Here is the situation that we recently came across. The situation is as follows. A friend is trying to sell their condo unit. It has been up for sale for some time without a lot of interest. The market is a bit difficult now and homes are not moving as fast as the seller would like. They are considering lowering the price and spending some money to update a few items in the condo they are trying to sell. The agent has another solution which could be self serving! Lower the price to make it more attractive to buyers and make about $20k in upgrades to make it more interesting to those people who want new carpets, new paint and granite counter tops. If it still does not sell the agent has offered that they will buy it at the lower price. Good deal for who? We happen to think that this is a really good deal for the agent where they really cannot lose. If it sells they get the commission. If it does not sell, the agent buys it and still gets the commission. It has been upgraded and will sell at some point. What does the agent know that the seller does not know? Well this particular market has increased over 25% in the past 6 months and this condo once it is upgraded could actually be worth more than what is being asked. Consumers do not want to deal with construction and upgrading due in part to the cost. But mostly due to the hassle of hiring contractors and dealing with a mess that they just do not have time for or the patience for. The seller is not going to take this deal, but it really shows you cannot trust your agent! What do you think about this? At best they are always under suspicion. They claim they are trying to help the customer achieve their objectives by buying a place they like at the best price. Or by selling a place again at the highest price. But at the end of the day, they have not made any money unless they close a sale. The good agents are the best at pushing customers to close deals. This is when they get their commission. Most agents are anxious to close a deal and some cannot disguise their interest very well. You feel that they are more interested in closing the deal than saving you money. For example if you can reduce the price you pay for a home by ten thousand, that’s a lot of money. It is your pocket and not someone elses. Of course you risk losing the deal if the seller does not take your offer. But ten thousand is a lot and it will take you sometime to save that much if you spend it. On the other hand the agent just wants the deal to close. Saving ten thousand reduces his commission five or six hundred dollars depending on what his commission rate is. He would like this money. But really he just wants the deal done so he can get on with the next sale to another customer. Bottom line is always follow your own instincts and make the best deal for you with the input of several people, not just your agent. We decided to do a few posts on the general subject of home upgrades or remodeling. Consumers plan remodeling on their homes for many reasons whether it is just to complete repairs on various items around the house or to improve the sales value as you prepare your home to sell. Many people also feel that before they retire they want to complete a lot of upgrades to their homes too. When you upgrade your home, you can spend a great deal of money. Quite often they spend large sums of money on upgrades that may be premature and really not the best use of their money from a cash flow perspective. We will examine this issue and several others in this post. In other words get ready for retirement because they will never be able to afford it again. After all they will be on a fixed income and do not want any debts to be concerned about.. For some this is good advice, especially if you cannot deal with the mess of remodeling and you have lots of free money laying around. However we would like to propose a different approach that maximizes your capital and helps you funds last longer. In this post we will talk about replacing windows , when you should do it and how many should be done. The average 3 bedroom home will have roughly 10 windows in it and each window will cost on average $700 a piece or $7000 dollars to do the entire job. Of course you can find cheaper windows and homes with more or less windows, however let’s use this as an average. Adjust these numbers to your own situation. This also assumes that you hire someone to do the work since most of us do not like to be on high ladders. We will discuss each of these alternatives and the relative cost of each. This alternative is usually by far the least expensive. If you have wooden windows, they will last a lifetime if properly maintained. When the paint cracks or peals off, water gets in and the wood begins to rot. When this happens it is time to replace the windows. Do it yourself or hire someone for $500 every two years to scrape and paint the windows will ensure that your wood frame windows will last for many years. Over 10 years your windows will cost $2500 if painted every two years. Most people will wait three years and if you do it yourself, your looking at almost zero cost to maintain your windows. Replacing your windows all at once gets it done and you never need to worry about windows again if you replace them with vinyl windows that have zero maintenance. Of course in our scenario you have to spend $7000 immediately, but most people will rationalize that painting is a non issue and it increases the sale value of their home. Still not everyone has $7000 to spend ! Another scenario that I personally like is to replace windows only as needed. Our windows on the west and south side of the house are more prone to the freezing and thawing cycles during the winter and as a result the paint peels off and the water gets into the wood. The sills rotted and we needed to replace these windows. We replaced half of our homes windows at a cost of $3500, four years a go and the rest seem fine as long as the sills are kept covered in paint. I have $3500 to put to use on other expenses, however using the time value of money I have had the use of this money for 4 years and assuming an interest rate of 5%, that’s $175 in income every year for the past 4 years or $700. That pays for a window, so I essentially get one window for free! Some people will argue that you cannot get 5% interest income. Well four years ago you could easily and now you can get 4%, with rates forecast to go up next year. This is a simple straight forward scenario, however it works for me and I follow the last scenario as needed. Evaluate your own situation and make the decision that makes sense for your windows, your home and your financial situation. Comments are welcome. For more ideas and thoughts about buying and selling real estate, click here. Open House – Worth the Effort? Your ready to sell your home and your agent is telling you that you need to have an open house! Perhaps your home has been on the market for a while and you have had many open houses. Yet no one is buying or even giving you a chance to negotiate with them. Is it worth it to have another Open House? Many people believe that open houses are just another way for agents to make more contacts and obtain more clients. Yes they do find more contacts this way for them and for you as well at all of the open houses they run. Is an open house worth the effort? There is lots of work to agreeing to an open house. 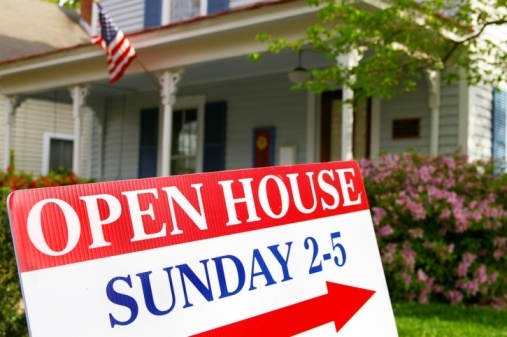 An open house is usually not the major marketing tool that agents will rely on when they’re trying to sell a property. Many real estate agents believe that open houses serve more to attract semi-interested prospects rather than serious buyers. It is a way for potential buyers to meet agents and express what they are looking for in a home. Agents admit that few sales traditionally come directly from an open house. As well, the Internet is also making open houses even less valuable. Buyers can view your home online and take a virtual tour of the home from the comfort of their own home across town or even in another city. But there are agents and homeowners who view open houses as an effective marketing tool that does help with sales. There are times when an open house is not practical at all, such as if a house is off the beaten path or in a gated community. Both situations involve a lot of extra work, especially in a gated community. 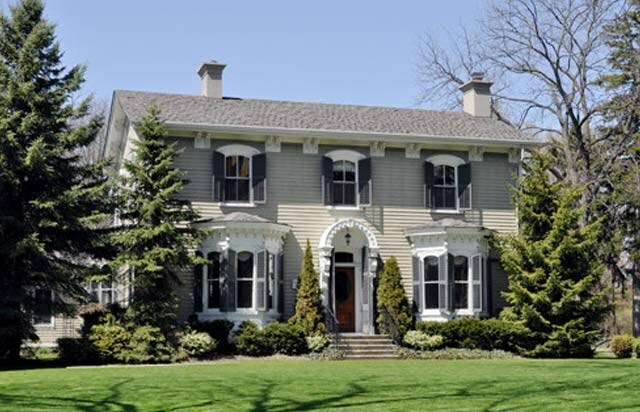 Likewise, it might be best to avoid an open house on a shabby listing or one that requires a lot of work. It probably won’t get much traffic, and agents will be reluctant to have their name advertised heavily in association with it. However, an open house can be a valuable opportunity to get feedback about what is and isn’t attractive about your house. It can be a little shocking and even maddening to hear some of the comments. You have to separate the comments into personal taste comments from those that are really constructive criticism. If there are good suggestions or comments, sometimes it can be worthwhile acting on them. But it is not a good idea to hold them too often, as they can send a signal that the house is market warn or a tough property to sell. On the other hand, in a hot seller’s market where houses are selling rapidly there is often no need for an open house. If the MLS listing and posting pictures on the Internet are already generating enough traffic of people who want to see your home an open house is also no longer necessary. The development of Internet listings and other online state information is quickly making open houses more of an option, rather than a requirement for selling a home. Virtual tours of homes have made it easier for potential buyers to decide ahead of time if they want to invest the time in traveling to see your home. Many agents believe that an open house is only worth having if it’s done properly and this includes sprucing up the house and its landscaping and advertising it well in advance. Clean like crazy before the open house, preferably with good smelling organic cleaners that won’t upset anyone’s allergies. Clear the clutter, pets, toys and even extra cars from the garage. Draw back the drapes, clean the windows and remove the screen so the most light shines in., trim the hedges . Mow the lawn,and put some blooming flowers in pots by the doorway. To increase traffic, try some unusual marketing strategies, like holding your open house during rush hour, or coordinating your open house with others in the neighborhood. If your agent cannot answer these questions or is unprepared to address these items, then you may have just wasted your time in agreeing to have an open house. Whether you’re an agent or a home owner looking to sell your home, please feel free to leave comments on this post to help our readers understand the entire area of open houses and why you should or should not have open houses. Protection from Identity theft is a serious issue. This is the final series of 3 posts about real estate title fraud and identity theft. This post discusses how you can protect your self from both of these criminal activities. Without being paranoid, take these steps today to protect yourself from identity theft. They are easy and do not take any time at all really, it just means that you need to be more careful about how you conduct your personal business and how to avoid this information from being shared with people who might take advantage of this personal information. Carry minimal identification. Never carry your SIN card with you. Never carry your pin numbers for bank cards etc with you. Memorize them! Always check all credit and financial reports each month from your bank statements – make sure that there are no unauthorized transactions. 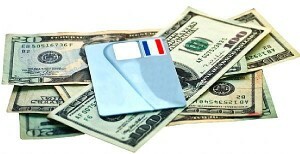 Ask credit bureaus for your credit rating and review it regularly. Check to see if there are any unusual searches or loans that you are not aware of. When buying or selling a home, rely on a real estate professional for both legal and real estate services. Choose someone who can be trusted, and always ask – and contact – referrals. When closing a mortgage transaction, make sure you understand what you are signing. As boring and laborious as it is, take the time to read the documentation and verify that it is doing what you expected and requested. Ask questions and check the accuracy of the documentation. Although they cannot do much, nor seem willing to, you should contact police if any identity theft has taken place to have it on record as support for potential court situations. Ensure mail is re-routed if you are going to be away on vacation. Also if planning to move or change your mailing address. Have someone you trust pick up your mail and place it inside your home or save it for your return. Shred anything with your name, address or SIN on it instead of just tossing it in the garbage such as receipts, copies of credit applications, insurance forms, physician statements and credit offers you receive in the mail. Never give your Social Insurance Number (SIN) out and only when absolutely necessary. Ask to use other types of identifiers when possible. Change your passwords on a regular basis and use smart passwords. Avoid using passwords that are related to your address or other personal information. Memorize them, do not carry them with you in written form. Use passwords on your credit card, bank and phone accounts that require a combination of letters and numbers. Memorize them. Do not under any circumstances carry them with you. Avoid using easily identifiable information like your mother’s maiden name, your birth date, the last four digits of your SIN or your phone number for your passwords. No one really wants bills, however if one does not arrive at the usual time it could indicate something is not right, pay attention to your billing cycles. Follow up with creditors if your bills don’t arrive on time. There is a huge difference between being paranoid, vs. just keeping an eye on your personal details and following a few simple rules outlined in this series of blogs. If you have suggestions or would like to leave a comment please do so. We will add them to our blog if they make sense and are not considered spam. Anyone who has experienced identity theft, are also welcome to leave comments to help others understand what can happen and protect yourself as well from being a victim to identity theft or real estate title fraud. How much do you know about real estate title fraud? or identity theft? The vast majority of people never have to worry about this type of fraud, however like health insurance, sometimes we need it and title insurance is much the same. It is a question of cost vs. the risk of being a victim to real estate fraud. Educating yourself about possible risks and dangers is the best way to protect yourself against real estate title fraud. This article and subsequent articles that we will post on this blog will guide you through how this type of fraud occurs, what to keep an eye out for, and steps you can take to protect yourself. At the very least if you do not want to purchase title insurance, at least take the time to read this post to understand the risk and how you can protect yourself, your home and your family! Real estate title fraud, a problem that is widespread across Canada and the United States and has recently gained increased public and media attention. Learning about how it occurs and how to protect yourself can help you avoid becoming a victim. There have been recent cases profiled in the United States of these fraudsters taking over titles of multiple properties in various cities and then selling them out from under the unsuspecting owners while they were away on vacation! Borrowed money from a bank against the clear title. Real estate title fraud costs you money – and lots of time as well as emotional stress as you attempt to deal with trying to get your home back. The average case of real estate title fraud costs the victim in the range of $300,000, which includes legal fees and discharging mortgages that you are now responsible for. The homeowner is responsible to prove the crime occurred. Restoring a property’s title involves a significant financial and emotional cost. Just think about the emotional stress of trying to get your house back. The one you have paid a lot of money for and paid for over the years, only to have some thief take it away from you and perhaps run up debt on your behalf. Contrary to popular belief, the old axiom, ” Innocent until proven Guilty” does not apply here. As far as the bank is concern you owe the money and they expect you to pay regardless of the circumstances. It can be very frustrating to say the least in dealing with this type of situation. In situations of credit card fraud, banks will often allow victims to suspend payment until an investigation takes place. Most banks will cancel your credit card and issue you a new one to use while the investigation takes place, particularly if you have a good credit rating. There is little protection when a mortgage is fraudulently registered against your property unless you have title insurance. 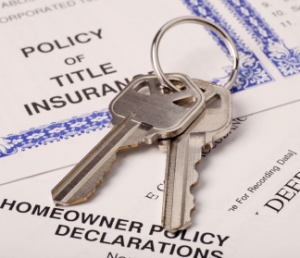 Title insurance can be an effective and inexpensive way to ensure you are protected. Most will cover legal expenses related to restoring title and they are available to existing homeowners long after they have purchased their properties. Some companies will also offer identity theft insurance and you can purchase identity theft coverage when you obtain a title insurance policy. With a little work and paying attention to details most people can avoid identity theft and real estate fraud. Always be vigilant and never let your guard down. In our next post we will cover Identity theft and what it is and how to watch for it. Our final post we will discuss how to protect yourself from both identity theft and real estate tile fraud. There is a huge difference between being paranoid, vs. just keeping an eye on your personal details. Follow a few simple rules outlined in this series of blogs. If you have suggestions or would like to leave a comment please do so. We will add them to our blog if they make sense and are not considered spam. Imagine that you’re just moving in to a new town and looking for a new home to purchase. You probably have hired a real estate agent to help you look for your new home or you may meet a real estate agent at an open house. But how do you find a lawyer, one that you can trust to do a good job for you? There are so many legal firms in every city specializing in various kinds of legal activities. Sometimes it is hard to choose a lawyer for a simple real estate transaction. If you are new in the city who do you talk to? Your friends are all at home where you are moving from. The only real contacts that you might have will be business colleagues and possibly your real estate agent. In this post we will examine some of the ways to find a good lawyer who will do your real estate transaction for a reasonable price. One of the best methods to find a good lawyer is from friends, neighbors, or even colleagues at work who have lived in your area for some time. 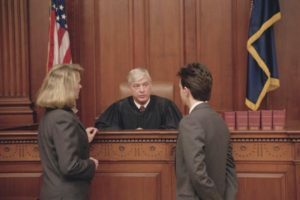 When you hire a lawyer to handle your legal real estate transaction requirements, you also may want to consider whether that same lawyer can handle your will, and other similar legal issues that may arise. Colleagues at work particularly if you are in a new city are sometimes best people to talk to about recommending the real estate firm that specializes in legal real estate transactions. Most people will have purchased a home and have a lawyer that the deal with and will also be able to give you an indication of what they will charge or have charged in the past. If you’re changing homes within an existing city and do not have a lawyer, talk to your friends and neighbors and even your in-laws about a lawyer that you could use. Find out what price they have charged in the past for handling a real estate transaction and how responsive and how good the service was. You may even try several lawyers by phoning their office to find out what kind of fees they charge and whether they will be able to handle your transaction or not. A recommendation from a friend or neighbor or colleague is sometimes the best way to find a good lawyer that will meet your needs. Another way to find a real estate lawyer is to look in the advertising sections of the newspaper as well as the Yellow Pages. In some countries and some states or provinces lawyers are not allowed to advertise. In those locations you’ll be left with asking for a recommendation from your real estate agent, from a colleague at work, or from friends and neighbors. Hiring a lawyer listed in the Yellow Pages is a bit like throwing a dart at a dart board. You’re never sure what kind of lawyer you will hire and how good their service is and at what price. Many real estate agents, especially those who have worked in real estate for some time, we’ll have a list of lawyers that they deal with, who will handle their transactions efficiently and at a reasonable price. When you’re dealing with a real estate agent particularly in the city, they are often the best person to ask about recommending a legal firm to handle your real estate transaction. Again you may ask for several recommendations so that you can compare both services as well as price for your legal real estate transaction. Regardless of which lawyer you hire and who provided the recommendation for the legal team that you will use there are a number of questions that you should always ask your lawyer or his clerk prior to giving the go-ahead to handle your legal real estate transaction. These questions are not all-inclusive however in our experience they are some of the questions that should always be asked prior to making a commitment. What price will he charge for the legal work for the real estate transaction? What additional fees will there be to close the transaction? Will the communication be by phone, fax, or by e-mail? Do these fees include a title search? Well they handle all of the bank transactions? Will they provide a final report after the transaction is complete? In the statement of adjustments will they include adjustments for — taxes, utilities, condo fees, and any other incidentals? Will they hold your down payment and proceeds from the sale in trust for you? How will the funds be transferred to you if you are selling and how they are transferred to he seller if you are buying? One of the best ways to find a lawyer to handle all of your legal real estate transactions as well as prepare a will for you and your family is to talk to people who you know and trust. Friends, neighbors and colleagues from work are often great sources. In-laws as well as family are also good contacts. Follow up with several legal firms to find out what they charge and what the additional fees will be. Your real estate agent can also provide a recommendation for a lawyer to use. Generally they have worked with many law firms in the past and can recommend a lawyer they are comfortable working with . This could well be one of the best sources to use. You might even ask for several names and then complete your own analysis before making a final decision. Review the list of questions we have provided with each firm before making a decision. If for some reason you do not feel comfortable, follow your intuition and try another lawyer before committing. Most lawyers are excellent and will provide great service, however like every profession, some are better than others, so choose wisely. There are a host of areas that many sellers and buyers need to consider when selling or buying their homes regardless of whether you sell it yourself or sell your home through a real estate agent. We are listing some of the more popular real estate selling and buying tips you can follow. Make sure there are no obstacles when it comes to selling or buying your new home. Always review what ever ideas you plan for your home with your real estate agent. They may have specific tips that work in your market. Also with the target market that you are aiming at for your home. Decor – tasteful decorations, neutral colors and furniture that make the house show well without shocking the buyer. Buyers should measure all rooms to make sure that your furniture will fit into your new home. Do not restrict access – Sellers should not set specific times for appointments. Remain flexible and reasonable to allow all potential buyers access. As owners try not be present during showings unless you are selling your home yourself. Research Neighborhood – potential buyers should research the neighborhood. Look at local schools and after school programs. What is the neighborhood like at various times of the day? Check the transit schedule. Good Deals at Auctions – can be found, but be careful not to get caught up in the excitement and bid too much for a home you have not had the chance to inspect. You never know what problems you are buying into. Owner not present at open house – Owners who are present at the open house tend to intimidate the visitors. Be careful to not get defensive when people are critical of your decor or layout. They are taking the time to assess whether they could live in your home, so be patient. Sell anytime, why wait for spring – homes sell anytime of the year. Why wait and sell in the spring for example when there is lot’s of competition. Invest for Long term – buying real estate is a long term investment. Trying to play the real estate market the way you would the stock market is not possible with real estate with all of the inherent costs of buying, selling and moving. Market home in different ways, MLS, Internet – There are several ways to market a home including MLS, Grapevine and traditional sales approaches like newspapers. Use them all to sell your home. Remodel vs resale cost recovery – remodeling your home prior to selling can be a positive thing to do to prepare your home for sale, however be careful to manage your spending. Not all renovations will pay off and you may not get all of your money back. Virtual tour of home – online virtual tours of your home provides a great way for people to see your home and decide if they want to visit for a more informed view. Always visit a home before buying any home. Treat hiring an agent like a job interview – you are hiring an agent to do a job and paying them a great deal. Hire them as if you were filling a job. Interview several agents before you make a decision. Estimate time required for sale by owner – sales by homeowners take lots of time. If you do not have the time to manage your sales process, buyer visits and negotiations, your expectations may not be met. 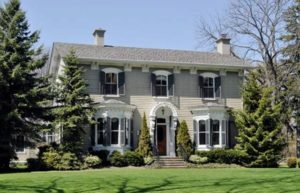 Don’t purchase most expensive home on the block – purchasing one of the cheaper homes on the block means you are likely to get more money for your home when you sell since it will be compared to all of the other homes in the area. Be proactive at closing, get documents ahead of time – read all documentation ahead of time and know what you are signing, particularly the mortgage documentation so that there are no surprises. Renovate before you sell and manage your costs – some times it is good to renovate before you sell. Renovations will help you sell your home more quickly, but you should not expect to get all of your renovation costs back. Obtain pre-approval for a new mortgage – having a pre approved mortgage gives you the confidence to know which houses you can afford and make an offer on a home. Don’t fall for the first home you see – The first home may be fantastic, however take the time to imagine what it looks like without furniture and how your furniture will look in this new home. Visit many homes to see what is on the market. Obtain a professional inspection – can save you thousands by identifying major repairs that may be required and give you some negotiating room with the seller. Purchase what you want vs. what you need– buying more than you need only increases your monthly installment payments, leaving less money to do other things. Don’t set your selling price too high – setting your initial price too high limits the market and may cause your home to be overlooked when buyers are doing online searches. Avoid getting greedy if you want to sell your home quickly. Stage your home so that it shows well – A messy home or over crowded home just will not show well. A cluttered home will make it difficult for the buyer to picture themselves moving into the home. Make sure your home is clean , tidy and not cluttered to maximize the selling value of the home. Real Estate agents! We have a love – hate relationship with them. The really good agents are able to sell our homes for the price we expect or find us the house of our dreams. The not so good agents list our homes for sale and let other agents do all of the work of selling our house. They still collect half of the commission. Agents that we hire to find us a home, show us homes we do not want or cannot afford. Why are they wasting our time? Do any of these statements ring a bell with you? If yes, then you have had some good experiences as well as some bad experiences throughout your life with Real Estate agents. Real Estate agents all charge a commission. Typically it is around 6%, with 3% going to the listing agent and 3% going to the selling agent. These 3% splits are further broken down to a split between the agent and their office that they work out of. The split depends on the agents deal with the office and how many sales he or she brings in every year. The agent you hire is supposed to be working for you to help sell your home. He or she does not get paid unless your home sells. The bad agents are going to urge you to list your home for a low price so that it sells quickly and they collect their commission. The really good agents, who will be around for a long time and have excellent reviews will work with you to find the right price and will be able to demonstrate to you why the price they recommend is the right price based on previous listings in your area and the current market. It pays to shop around. Don’t be intimidated. Ask for references and check out the references. Ask detailed questions. Find out exactly what they will do for you and how will they market your home. Ask for at least three quotes before you make a decision. This may seem like a lot of work, however it might mean the difference of several thousand dollars in your pocket and a house that sells in a reasonable time to the right buyer. With today’s online services, MLS, Grapevine and private sales, there is a huge opportunity for an individual to gather all of the information he or she needs to find the home of their dreams. Your Real Estate agent can help you with this search, identifying homes that are not yet on MLS which may meet your requirements. They can also arrange for viewings of homes that have been listed by them or other agents. This is an invaluable service, but there is a lot more. If this your first home, you may need more help than you realize. If you have a good agent , he or she will coach you through the offer process. You may save several thousand dollars by making an offer that is reasonable, but below that of the advertised sale price. But more important , are the conditions that everyone should consider. Adding in conditions which protects you the buyer and allows you to check for various things before you firm up the deal and become committed to buying a home you may not want. This is one of the most important aspects of an agents job and it may save you thousands of dollars. Inspection – Conditional until a home inspector has completed his review and prepared a report for you. Specific Items – to be included in the sale of the home. A list may be included. Vacancy – if the home is rented, specifies that the tenant must vacate the home by a specific date. Any or all of these conditions may be applied to any offer to purchase. They are designed to protect you the buyer and avoid getting into deals that you really want to avoid. This is not a complete list. There may be other items that are specific to each deal that is put together for you by your Real Estate agent. If your Real Estate agent has a 6% commission rate and your home is worth $300k, then the commission will be $18,ooo dollars. This is a lot of money and you will want to make sure you get your money’s worth. Legal fee’s will vary. But should be under $1000 and incidentals should also be under $300 and these are high numbers. Your moving costs will be higher depending on how much you have to move and were you are moving to. Hiring a moving company will be far the largest expense. Grapevine is another approach to use. Essentially they will take pictures and list your home for sale on their network over the internet. Costs vary, but generally are under $1000 for the service. Customers of Grapevine are prepared to sell their own home and show their home to prospective clients. Not everyone is comfortable doing this and some people are just not good at it. Make your decision carefully before you leap into selling you own home yourself. Some people would rather let the Real Estate agent do the leg work and the commission is more than worth it to them. I have always found that real estate closings are a stressful event. You are down to the wire and about to purchase a new home or rental property. Your wondering what will go wrong to prevent the deal from going though. There seems to be so many moving parts that you just feel that something will be missed. The whole thing may fall apart. In reality, if everyone has done their part ahead of time. There is little likely hood of the deal falling through at the last minute. If there is a problem with the real estate deal then you already know that the real estate closing is in jeopardy of falling apart. Lets examine the roles of each of the participants to see what is involved and what you should look for. Each participant has a role and it is important to know who they are. You have the seller, the buyer, the sellers agent, the buyers agent, the sellers lawyer, the buyers lawyer, the sellers bank, the buyers bank and the buyers home inspector. Buyers Home Inspector – Completes a home inspection and provides a report to the buyers agent and the buyer. Seller – Once the offer is accepted, there is not much for the seller to do. Other than be available to sign all of the appropriate documents. They also need to provide the necessary information to the sellers lawyer so they can complete the deal. This includes current mortgage information, other lien information if it exists, tax statement. The keys so that they can be handed over once the deal is completed. Buyer – The buyer must waive all conditions for the real estate deal to be able to close. If they do not waive the conditions, the real estate closing cannot proceed until they are dealt with. Usually all four people must get involved to make this happen if there is a disagreement i.e. the seller , the buyer, the sellers agent and the buyers agent. Once all of the conditions are waived the buyer must provide to his lawyer all bank information so that the mortgage can be placed, and he must provide the funds necessary to make the down payment. The buyers agent is usually on top of this and will raise a red flag if the real estate closing is in jeopardy. The buyer needs to meet with his lawyer to sign all documents and receive the keys once the deal is completed. A good agent who is working for the seller will often need to review any offers that come in. They should pre-qualify the buyer through the buyers agent as best he can. If there is a tenant involved the sellers agent must give notice to the tenant. Especially if the buyer will be moving in to the unit. The sellers agent is usually quite motivated to make sure the deal goes through. After all conditions have been waived and will follow up at appropriate intervals to confirm that the deal is still good. 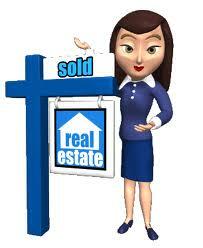 Buyers Agent – his job is to protect the buyer and to put together an offer that is best for the buyer. If there are conditions, the buyers agent should work with the buyer to help arrange for these items to be waived. So that the real estate closing can take place. He will follow up with the lawyers on both sides and the sellers agent to confirm that there are not outstanding issues. Sellers Lawyer – using the proceeds of the sale the sellers lawyer needs to pay out the bank mortgage of the seller. They will de-register the mortgage against the property. He will also provide the final adjustments to the buyers lawyer. Items such as taxes, condo fee’s etc are included and accounted for. Once all documents have been cleared, money received and paid, his costs calculated, the sellers lawyer will transfer the remaining funds to the appropriate bank as designated by the seller. Buyers Lawyer – the buyers lawyer must receive the funds from the buyer and the buyers bank. Then they register the mortgage and have all documents signed. They prepare a statement of account and remit the proceeds to the sellers lawyer. He must also confirm there are no new issues that could prevent the deal from proceeding. As well as that all conditions are fully waived. Not much for the bank to do here other than provide a statement of the balance to be paid out on the date of the real estate closing. Once they receive the funds, they will discharge the mortgage and update their books. Buyers Bank- They will need to have pre-approved the buyer for the mortgage. Assuming that this is done well in advance there should be no issue. However some deals do fall through because the buyer was not properly pre-approved. On the day of the real estate closing, the bank will forward the funds agreed to, to the buyers lawyer. Who in turn will complete his work as stated earlier and then forward the proceeds to the sellers lawyer. Sounds complicated, however as we said earlier, if all of this work is done in advance and the agents are managing the deal. Then there should be no problems for the real estate closing. If you are concerned, meet in advance with your lawyer and go over all details. Sellers hate them and buyers have a love / hate attitude towards home inspections. Home inspections are an excellent addition to the real estate business over the last few years. They really do help the industry at large and even sellers deep down can appreciate their value in many situations. Sellers don’t like them because they are afraid they will identify major issues that could jeopardize the sale. Often there are surprises that the seller is not even aware of, which can save the buyer thousands of dollars. Buyers have a love / hate attitude home inspectors. Consumers like the idea that the home inspector will identify issues that can save them money. Also identify issues that they need to focus on in terms of renegotiating their offer. Buyers who are emotionally attached to the house they are looking to buy, are afraid that the home inspector will identify issues that could break the deal. They understand it is for the best for them. However they would really prefer that the home inspector does not find anything. In addition that the deal will proceed as offered. You are ready to make an offer on an existing home and your real estate agent is talking about conditions that you need to add to the offer. Come on you just want to get on with the deal and buy this house. You are hoping that the seller will accept your offer so that you can move into the house of your dreams! Well you should listen to your real estate agent. He or she is doing his job of protecting you against making a bad deal. One of the conditions he or she should be adding to the offer to purchase is the plan to ask for a home inspection that will be completed by a home inspector at your cost. You are already spending enough money and now you have to shell out more to pay for a home inspection! The answer is yes and you should. Numerous buyers have been saved thousands of dollars by getting home inspections completed. The inspector may find issues with the home which might cause you to walk away from the deal or they might allow you to negotiate a better price. The process is that you make an offer with a home inspection as one of the conditions. The home inspector goes into the home you are intending to buy, completes the inspection and provides a copy of the report to you and your agent for review. If issues are found, he will hi-light these items and it is up to you how to handle them. Your agent wants to see you protected, while at the same time he does not want to lose the deal. Most likely he will try to seek a middle ground to have the buyer and seller absorb some of the costs associated with what ever issue the home inspector has found. Now you get to negotiate with the buyer regarding who will pay to fix the problems and ultimately it comes down to how much you want this particular house vs. the cost to fix whatever problems he might have identified. A good inspector is going to check everything associated with the house. 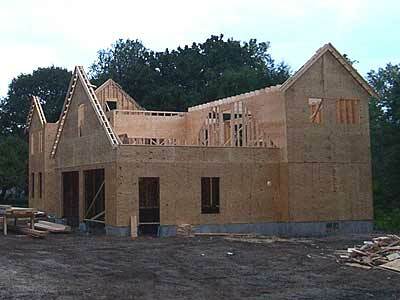 He will include the foundation, the construction, wear and tear on the building. Also any areas that might cost you money in the foreseeable future. The condition of the roof, the siding, the windows, the insulation, the wiring, the furnace, the air conditioning and much more. While you are caught up in the emotion of buying a new home, the home inspector will conduct his review in a business like manner. He should also prepare a report for you to review. For example, he may review the condition of the roof and conclude that you will need to replace the roof in five to 10 years time. He might note if there are any serious issues with the roof at this time. This information is crucial, since now you know that you can expect a large expense in 5 to 10 years time when you replace the roof. This is an example of how one are might be identified. He will also tell you for example that the furnace is ok or it is on its last legs. If it is on its last legs you can try to negotiate a lower price for the home to cover the cost of the furnace replacement. A home inspector can save you thousands of dollars. Once you have received the home inspectors report, your next step is to either accept the results and waive the conditions. Or walk away from the deal or try to negotiate a revision to the original offer you made. A reduction in price would help pay for some of the repairs that you will need to make. This is were the value of a home inspector really comes in and saves you potentially thousands of dollars. Once you have agreed to waive the conditions or have negotiated a final deal, the next step is to close the deal. Accept the keys along with the debt etc. Your home inspectors report is an excellent guide to the maintenance that you are going to have to do. Also a useful planning tool to help you plan financially for all of the repairs and / or upgrades that are needed. Some of these conditions that you have absorbed can be worked into the mortgage financing. However it will take a creative real estate agent to assist you with this negotiation.